March ended off with a "bang" with a great classification and fantastic results at the 2011 Ontario Spring Discovery show. We are pleased to announce that we had seven new Very Good 2yr olds, 4 at 87 points! We also had four new Excellent cows including the mother of Pine-Tree Sid, Pine-Tree Finley Minnie. 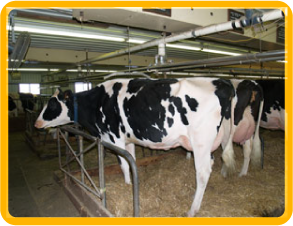 Minnie scored EX-91 with a 92 on Mammary and 93 on Dairy Strength. Quality BC Frantisco had an 87 point Bolton and an 86 point Final Cut daughters, as well as an 87 point Shottle and Dundee grand daughters. Quality Carlton Pam added another Excellent daughter with a Blitz that scored EX-91 only three weeks fresh. We were thrilled to be named Premier Exhibitor at the Ontario Spring Discovery Show 2011. 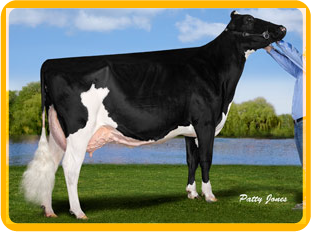 Our EX-96 Mature cow, Crestlea Astro Karen was named Grand Champion. Quality Goldwyn Flansco was 1st prize 4yr old and Best udder in class and a member of our first prize Breeders herd.